It might only be February, but it’s time to start making your summer plans. And I’m not talking about vacation (well, maybe that too). It’s time to update your resume and look for a summer internship, or if you’re graduating — a grown-up job! For those lucky enough to live in Austin or NYC, Ketner Group is headed to a career fair near you. When, you ask? Well, the magic date for Spring 2019 career fairs appears to be Feb. 27. For UT Austin students, you can find Ketner Group at the Communication Job & Internship Fair. The event will be held from 10:00 a.m. to 3:00 p.m. CT on the 8th Floor of Darrell K. Royal in the North End Zone. If you’re a junior or senior with PR internship experience, we’d love for you to stop by and hear about our summer internship opportunities. Additionally, we’re always on the hunt for all-star account coordinators, so if you’re graduating this spring, then visit us to learn how you can start your career with KG. Also on Feb. 27, we’ll be making our NYC internship fair debut at NYU. From 10:00 a.m. to 1:00 p.m., I will be at the NYU Kimmel Center, hunting for KG’s first-ever NYC intern. If you’re entering or in your junior or senior year of undergraduate studies or completed your first year of graduate school, and have relevant PR internship experience, I’d love to meet you! If this will be your first career or internship fair, don’t fret. Instead, check out our blogs for advice on career fairs and applying for PR jobs. You’ll find helpful tips on how to prepare, what to wear, and much more. If nothing else, I suggest spending some time researching the companies that will be attending and identifying which opportunities best align with your career goals and objectives. And if all else fails, make sure to bring plenty of copies of your resume! Whether you’re in NYC or Austin, we look forward to seeing you on Feb. 27. If you’re unable to make it, always feel free to send your resume to [email protected]. Despite the fact that we “get it,” bylined thought leadership content is not a familiar place for many solution providers. Oftentimes, vendors find it hard to be non-promotional or take a stance on the bigger issues affecting the industry without disparaging others, all while sticking to strict editorial guidelines. So, we’ve put together some recommendations to help solution providers wrap their heads around thought leadership and contributed content. We get it – you eat, breathe and live your solution every day, and we have no doubt that you can write 800 words about its capabilities, features and benefits. There is certainly a time and a place for that. But when it comes to bylines, think outside the box and take a position on larger industry issue or trend. Prospects understand that you know your product, but they want to make sure you understand the broader industry context and all the problems and issues they face. For example, instead of writing about your shipping solution, discuss how hot issues such as new tariffs will affect the industry. Some executives think contributed content is the place to call out competitors for their failures and tell potential clients what they’re doing wrong. While that may be okay by some publications’ standards, we caution you to walk a fine line between being controversial and not offending your competitors or potential customers. After all, if you can tear down a competitor, they can do the same about you, and nobody wants the negative press! As far as potential clients go, you don’t want to risk losing a prospect because you crossed a line and slighted the wrong decision maker. We all know that C-suite leaders and top executives have their plates full; the last thing they have time to do is write an 800-word article. And, to be honest, that’s probably not their cup of tea; if it was, they’d already be doing it! Instead, utilize a great writer on your team or hire a partner to help you write thought-provoking bylines that editors will publish and your target audience will read. Done right, contributed byline articles will position both the author and the company as trusted experts with the potential to help navigate the unique requirements of your business area. *Please note that due to the promotional nature of this content, it would not be considered “vendor-neutral” by an editor. However, this is our company blog, and as we said above “there is a time and a place” to be promotional, and this is it. When I started at Ketner Group almost three years ago, I was the fifth full-time team member. At the beginning of July, we’ll be adding our 10th full-time team member (get excited for another intro blog!). Pair that with our ongoing internship program, and it goes without saying that we’ve done a TON of recruiting, resume reading and interviewing in the past few years. And as you can probably imagine, we’ve seen some interesting things (some good, some…not so good) throughout the process. Given that many recent grads are likely applying for jobs, we thought it would be a good time to talk about some of the dos and don’ts of applying for PR jobs. You might be looking at a job description or a company website and think, “that sounds like a perfect fit for me.” However, even if they’re looking for someone with slightly less experience than you, that doesn’t mean you shouldn’t apply. For example, if the position is an Account Executive role with 2-3 years of experience, and you’ve been in the working world a bit longer, the hiring agency might be willing to hire you as a Senior Account Executive if you fit their profile and hiring needs but have slightly more experience. Now, I recently had a debate with some friends about this one – many argued that you should aim big, or the employer may not know what they’re looking for until you tell them. While that may be true in some industries, I’d argue that it doesn’t apply to most PR jobs, specifically agency ones. For example, if we’re hiring for an Account Manager position with 4-5 years of agency experience, you do NOT qualify for that job if you’re looking for your first job out of college. To a recruiter or the person reviewing resumes, this says one of a few things: 1) You don’t think their time is important; 2) You didn’t thoroughly read the job description; or 3) You’re just blindly applying for jobs to meet some sort of quota. Now if you’re still interested in working for the company, but simply don’t have enough experience, feel free to send the contact a note, acknowledging that you aren’t qualified, but let them know you’re interested in a more junior position if one is to open up. We all know that applying for jobs and interviewing is an exhausting, and often, defeating process. But as you can probably tell, it’s not all fun and games for employers, either. That being said, when you do get to the job interview, act like you want to be there. Show up well-rested, prepared and with a smile on your face. And most importantly, be yourself. While we know job interviews are nerve-wracking, some of the best interviews I’ve been in (whether as the interviewer or interviewee) are those where everyone’s been themselves and the conversation has flowed naturally…whether it was completely relevant to the job itself, or not. As much as we’d like to be able to anticipate that we’re going to need someone to join our team in six months, unfortunately, that’s not often a reality for most agencies. We often don’t know we need a new team member until we needed them yesterday! While we’re always happy to hang on to your resume, it’s very disappointing to receive an application for an open position from a qualified candidate, and then once you’ve invested time in speaking with them, learn that they’re not available to start for another six months. Therefore, if you see a job that you think you might be qualified for but wouldn’t be able to start for a while, just be upfront about it and send the contact a note to see if they’d consider a candidate who can’t start for a few months. Trust me, they’ll appreciate your honesty! While it’s not necessarily a deal breaker, a thank you note goes a long way. And if you’re anything like me, you still get giddy when you receive the old-fashioned kind in the mail. While any thank you note is better than none, try to make it thoughtful, highlighting something that was discussed in the interview, mentioning something you forgot or maybe asking a follow up question to help keep the conversation going. For the past two years, Ketner Group has attended the Moody College of Communication Career Fair at UT Austin and we’ve had the pleasure of meeting some great candidates (shout out to Stacy and Meghan!). But we’ve also had some interesting exchanges. Notably, we’ve noticed that many of the candidates don’t have a clue what we do or what type of job they’re applying for. Some walk up to our booth and straight up ask, “So, what does Ketner Group do?” While we commend you for having the courage to put yourself out there, Career Services provided a list of employers well in advance, and you have time to prepare and research the companies you want to meet. While the list could go on, these are some of the dos and don’ts that have repeatedly shown themselves. So, before you apply for your next PR job, be sure to take this advice into account, and best of luck on your job hunting journey! P.S. While it’s only a small part of my job, I really do enjoy recruiting and getting to know job candidates! Even though Ketner Group doesn’t currently* have any openings, feel free to shoot me your resume to keep on file or I’d be happy to sit down with you and discuss your job search journey. You can email me at [email protected]. *As noted above, that could change at any moment! 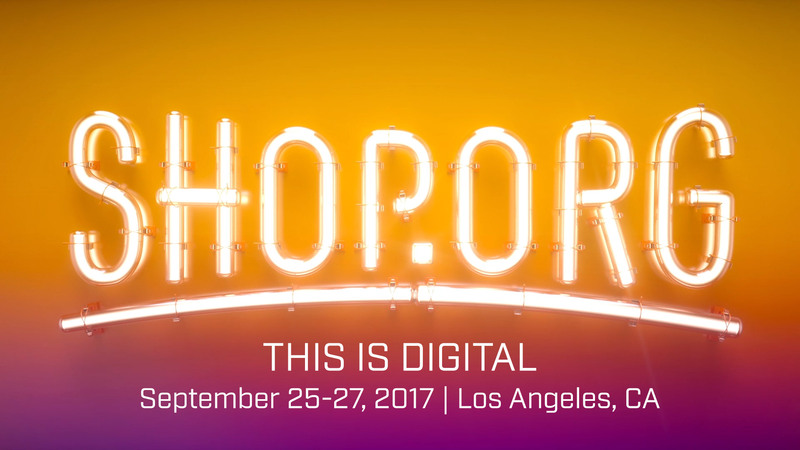 At the end of Sept., Mariana and I ventured to the West Coast for Shop.org 2017: This is Digital in Los Angeles. We were excited to see what NRF had in store for the re-invigorated annual conference. Until now, Shop.org’s focus had been squarely on eCommerce. 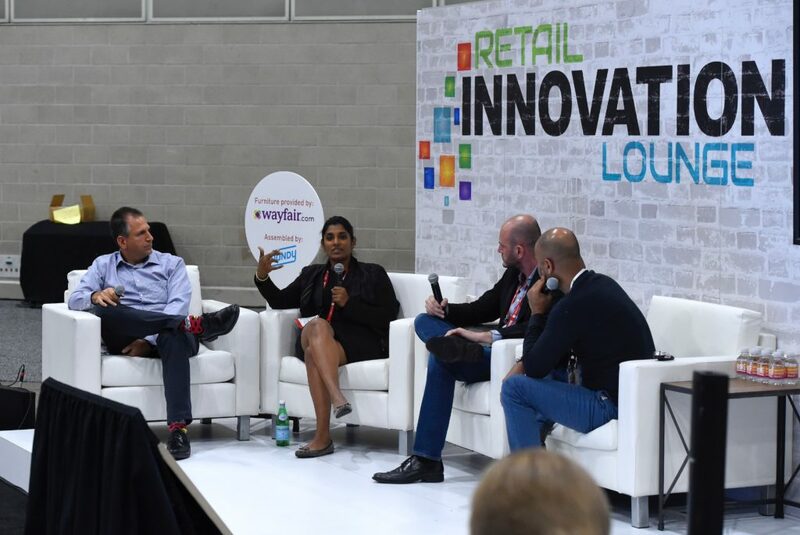 This year, however, NRF shifted the event’s focus to include all things digital, bringing new vendors, perspectives and content into the limelight. Having attended last year’s Shop.org in Dallas, I can say that the show sure did look different! NRF refreshed the branding with brighter, flashier colors and created more inviting, well-designed spaces on the show floor for attendees to gather for networking, meetings and meals. Another great addition and surprise was Monday evening’s networking cocktail party. The cocktail party was held remotely at the famous Shrine Auditorium, which over the years has served as home to both the Emmy Awards and the Academy Awards. It was quite a spectacle, with a red-carpet entry hosted by Melissa Rivers, dancers in giant balloons and a genie floating above the crowd. During Shop.org, we had the privilege of spending most of our time in the Retail Innovation Lounge (RIL). Ketner Group’s good friend, Anne Marie Stephen, founder and CEO of kwolia, invited us to once again serve as the media partner for RIL and support her on site. As we mentioned in our previous blog, this was the first time that kwolia and NRF partnered to bring the event inside the conference. Over the course of the two-day event, we saw nearly 600 Shop.org attendees stop by the RIL. While the fresh popcorn might have helped (as overheard on the Shop.org shuttle), we were told repeatedly that the content presented at RIL was some of the best at the conference. The Amazon Power Block, featuring sessions from Bryan Eisenberg, author of “Be Like Amazon,” and retail marketing agency TPN’s interactive workshop, drew the biggest crowds. Ketner Group has been lucky enough to have seen the Retail Innovation Lounge since day one, when it kicked off during SXSW in 2016, and boy, has it grown in the past 18 months! We can’t wait to see what RIL has in store for the retail community in 2018 and beyond. Shop.org planning is already under way for 2018 and the event is scheduled to take place in Las Vegas, where organizers are hoping to draw big crowds once more. Ketner Group is currently seeking a proactive and diligent intern for the Fall 2017 Semester to support our team, with the possibility of being invited to stay on for the spring term. The paid internship would begin in August 2017 with a flexible schedule of 15-20 hours per week. The intern will have the opportunity to work alongside our fun-loving, collaborative group while gaining real-world agency experience supporting B2B clients. Application instructions: Please send resume and cover letter, along with writing samples to Adrienne Newcomb at [email protected]; no phone calls, please. It’s inevitable, it happens every summer, schools out and everyone is in vacation mode. And the regularly fast pace world of PR slows down. But don’t fret, you won’t be twiddling your thumbs for long and in the meantime, we’ve come up with a few ideas to keep you busy and ahead of the curve for the Fall ramp-up. Things aren’t just quiet for PR professionals; summer time is also a slow time for many journalists. This is a great time to meet up with journalists for an annual coffee, find out what they’re working on and discuss in-depth story ideas. They might be in need of something to fill in the space during the summertime slump or planning for 2017 and can pop a few of your ideas into their editorial calendars. Whether you get a story out of the deal or not, face-to-face time is essential for building long-term relationships and staying at the top of a journalist’s resource list. The last time things were quiet, likely over the winter holidays, you probably put together a robust list of speaking and award opportunities you planned to conquer for the year. If you’re like us you probably keep it handy but things are starting to look out of date. Half the shows and most of the deadlines have passed for the year. Take a little time to refresh the info and start looking at dates and deadlines for the next year. If you’re immersed in the world of retail tech PR like our team at Ketner Group, you know that while there isn’t major shows going on right now, plans for 2017 are well under way and a couple of major deadlines are on the horizon. This year the inaugural Shoptalk event drove media coverage and hype across the industry and the 2017 speaker lineup is already in the works. For a chance to speak at next year’s Shoptalk plan to have your speaking proposal submitted by Sept. 1. The first half of 2016 is behind us and now is great time to start looking at 2017 priorities. Internally, meet with your top executives, sales team and product engineers to find out what’s next. Are there any major company strategy changes on the horizon? Any major customer wins in the pipeline? What major product developments are coming out next year? It’s also a good time to start looking at budgets based on first half performance. From there, you can start building out on overall communications plan for the coming year. We’ve all been there, it’s either the end of the year or the brand new year and its time to build out the first-half communication plan. Instead of stressing out about compiling all of the materials you need for this plan under a tight deadline of two days, take this downtime to get ahead of the curve by putting together a potential outline and then finalize the plan when its time. Don’t forget to include thought leadership themes, announcements and analyst relations’ activities. Meet with all of the stakeholders across your communications and marketing teams, both internally and externally. If you have some extra wiggle room in your budget, getting together for an in person meeting is a great way to knock this out in a short amount of time with some team building activities on size. As we all know, the quiet times are rare and you never know when they might come to an abrupt halt, so enjoy it while you can. Take a long weekend without the stress of needing to make up the time when you get back. 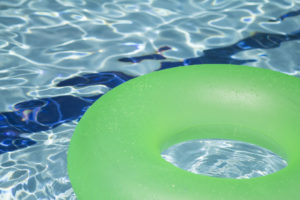 If you have “Summer Fridays,” take advantage and cut out of the office early for a much-needed massage or to spend some time at the pool with your kids. Don’t worry, there will always be a client in need of public relations and a journalist looking for a good story, come Monday.